Is there anything better than enjoying a delicious, fragrant glass of wine while looking at one of the natural wonders of California, and really the entire world? This is the premise of the Big Sur Food and Wine Festival. The Big Sur Food and Wine fest for 2012 has just been announced, promising both great wines from Monterey county plus a fantastic setting. The festival offers attendees amazing deals on some of the area's best food and wine from Nov 1-4. The Hyatt Highlands will be kicking off the festivities with what promises to be an incredible first night of epicurean delights from their Pacific Edge restaurant. If you've been to Big Sur, you know the terrain and roads can be rough and sometimes even washed out by driving rain which can bring the travel nightmare of mud slides. That's why I'm so intrigued by the an offering on this year's festival menu, the "Gateway to Big Sur" an opening night event at the Carmel Hyatt Highlands Hotel. Centrally located between the small village of Carmel, and the open vistas of Big Sur, the Hyatt Hotel will offer a special night of tastings from 35 wineries and 18 chefs in their Pacific’s Edge restaurant including the Lounge and Fireside Room. Tickets are priced at $160.00 each. I think this is a great deal for wine lovers and foodies, especially when you consider the quality of the food that will be provided. I recently dinned at the Pacific's Edge restaurant and can highly recommend the food, especially the signature Abalone appetizer (see above). The other thing I like about this special night is that everything is offered in one location. That's makes it safe for visitors and locals, as there is no driving while drinking from winery to winery and food is offered at the same time you are tasting. Guests will enjoy spectacular sunset views as they dine on the best of what Big Sur chefs, Hyatt chefs and other invited restaurants prepare for this one special night. 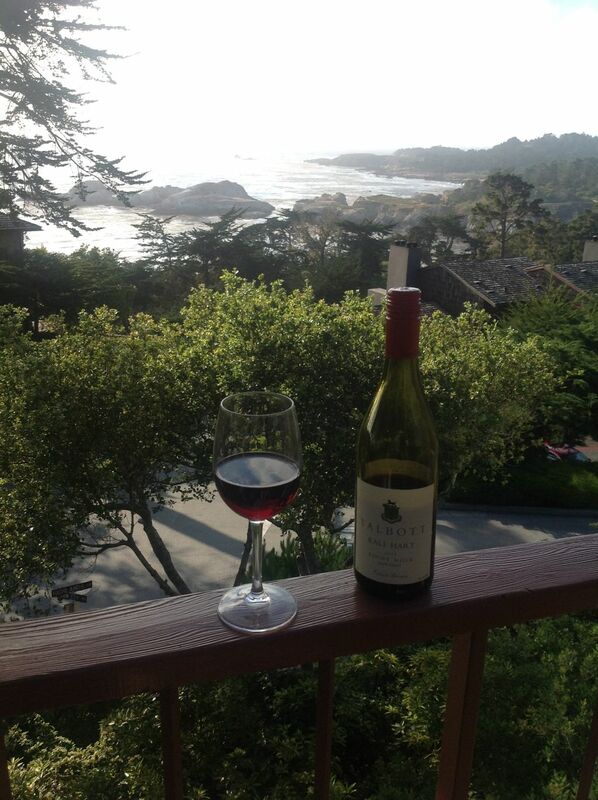 Check out the Big Sur wine festival website for more information and tickets. The Big Sur Food and Wine Festival is now in its fourth year, and has raised over $65,000 for local non-profit causes.